Ever wonder, why do boys DO that? Join co-hosts Jennifer L.W. Fink, mom of four boys, and Janet Allison, parenting coach & educator, as they explore and explain boy behavior. 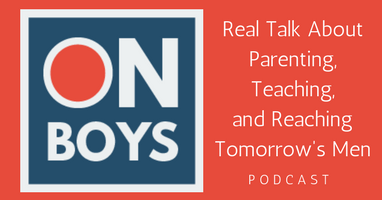 Their weekly conversations include a healthy dose of humor & insight, and feature take-away tips you can use right now, at home or in the classroom, to help boys grow into healthy, happy men. Whether your boys are teens or toddlers, you’ll find a big dose of support, encouragement and camaraderie at On Boys.